Meet the Adoptable Dogs For Life! We're an all-breed rescue, so we always have many different types of dogs. In addition to the dogs we rescue, we will also provide courtesy postings for the shelters we work with. Some of our Superstar Dogs need temporary foster homes and would love to be sponsored! More info can be found in their bios. Fiona is approximately 8 months old and is 42 lbs. She's a happy girl who loves to play with other dogs, but is not so fond of cats. She's also a charming goofball and will provide her new family with as much love as laughs. If you're looking for a new family member that you can keep forever, and you want one that will keep you entertained, then Fiona is definetely the girl you are looking for. Fiona's adoption fee is $250, which covers her spay and current vaccinations. Casey is a 2-year old pit/Shepherd mix that was rescued from Delano along with her best friend Leo. This shelter photo doesn't do this pretty girl justice. She has a heart as big as Texas and is a very sweet, friendly girl. She gets along really well with the other dogs in her temporary foster home. She loves people and will say "hello" to anyone she meets. She's great with dogs of all sizes (including little buddy, Leo). She's always ready for a hug and a few kisses. Shelter volunteers believe Casey and Leo once lived in a home together before they were picked up as strays. Casey's adoption fee is $250, which covers her spay and current vaccinations. 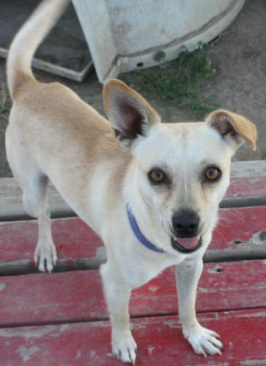 Leo is a 1-year old handsome little mix that was rescued from Delano along with his best friend Casey. He was listed as a Chihuahua mix, but his long legs and long snout lead us to believe he might just be an All-American mutt. He's a really friendly boy with a big heart and lots of love to give. He does well with other dogs and could go into a home where the cat is dog-savvy and dominant. He's great meeting new people, and loves attention and being near you. Leo also takes treats gently and has learned to sit and wait for his breakfast/dinner. On a recent night in his foster home he was curious, alert but calm when a house full of teenagers was over. According to his foster, he's a medium energy, well-balanced pup who doesn't show signs of fear or aggression. He'd enjoy joining his adopter on long walks or runs for fresh air and exercise. Duke is fostered in Cupertino, and his adoption fee is $250, which covers his neuter and current vaccinations.